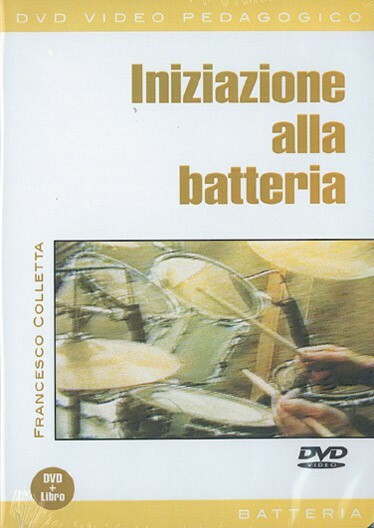 LIBRO METODO DI MUSICA ROCK CON DVD ROM. If The Beatles were early rock's good guys in white hats, the Stones giddily took on the role of black-hatted bad boys. Powered through the years by Keith Richards' uncanny knack for gut-punching rock guitar riffs, the Stones have amazingly just celebrated 50 years of bad-boy rock! With this book, you will learn all the great guitar parts to ten Stones classics. To make learning Keef's guitar parts both fun and easy, the included DVD contains complete, easy-to-follow video lessons for each song. And if you use the disc in a computer, you can access sound-alike and play-along MP3s of every tune, and our exclusive TNT 2 Custom Mix software that lets you alter the instrument and vocal mix for play-along. Titles: Brown Sugar - Can't You Hear Me Knocking - Gimme Shelter - Honky Tonk Women - Jumpin' Jack Flash - The Last Time - Paint It, Black - (I Can't Get No) Satisfaction - Wild Horses - You Can't Always Get What You Want. 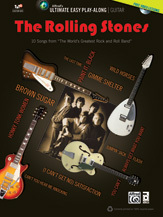 "This DVD is an excellent guide to learn some of the Stones early hits. The teacher on the videos slowly goes through each part of these songs, breaks them down and explains what is going on. There is software included that lets you slow the tempo down so that you can get your muscle memory down and then gradually increase the tempo. Also the book with the notes and tab makes it very easy to practice. Open E and G tuning is explained and makes your guitar sound like Keith Richards! Probably the best How To book I ever purchased." DVD VIDEO LEZIONE DI MUSICA , ROCK, BLUES, COUNTRY, ROCKABILLY, R&B. Here it is! This DVD is the answer to every Guitar player's dream. Not only do you learn 150 totally unique licks in an hour, but each one is carefully taught to you in detail by Arlen Roth, founder of Hot Licks Video and one of the world's finest players and teachers. All of the subtle nuances that make these licks so unique are never overlooked, as Arlen carefully covers the string bending, vibrato, slides, hammer-ons, pull-offs, and phrasing that makes Blues, Rock, Country, and Rockabilly Guitar such a challenge! So warm up your fingers because this is one lesson that will have you playing burning Hot Licks right from the start, while changing the way you play lead Guitar forever! 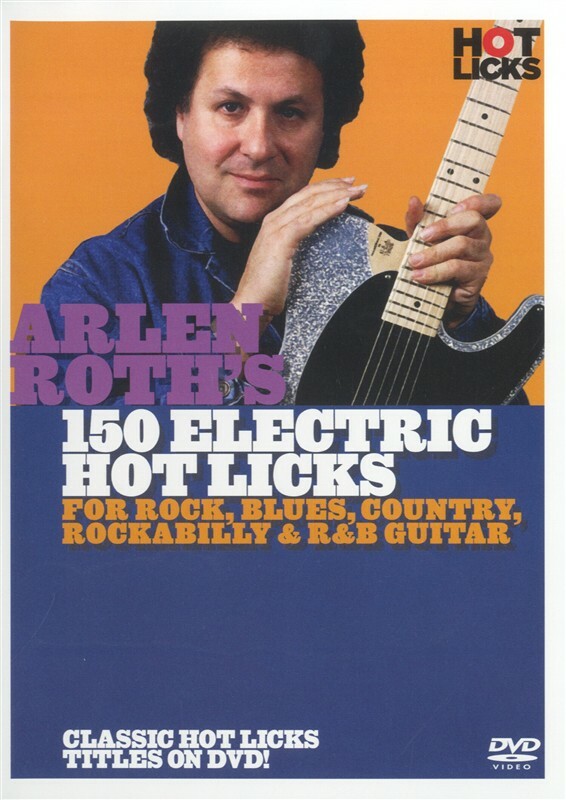 Arlen Roth is one of the world's most respected and well-known player/teachers of the Guitar. He founded Hot Licks in 1979 and has written twelve best-selling books. He has worked with artists such as Simon and Garfunkel, Phoebe Snow, John Prine, Don McLean, Bob Dylan, Eric Andersen, Tony Bird, and Duane Eddy, and he served as Guitar coach and soundtrack creator for the legendary film Crossroads. His column "Hot Guitar" appeared in Guitar Player Magazine for ten years, and he has recorded six highly acclaimed solo albums. All exercises are transcribed in the accompanying booklet, corresponding to example numbers on the screen. And of course, all right- and left-hand techniques are shown close-up, with special split-screen effects, so you can closely observe and learn all the subtleties the top players are known for. DVD VIDEO METODO DI MUSICA BOSSA NOVA, LIBRETTO E 2 DVD. VIDEO METODO DI MUSICA FLAMENCA. This third volume ends the styles indicated in the second volume SOLEÁ POR BULERÍA, FARRUCA, GUAJIRA, SERRANA, FANDANGO and starts with the following new styles: GRANAÍNA, MALAGUEÑA, TARANTA, RONDEÑA, MINERA. 5 languages: Castellano, English, Français, Italiano and Catalá. 100 lessons, 2 hours of footage, multiscreen, tabs for all exercices. Il nuovo rivoluzionario metodo di suonare la chitarra di Daniele Gottardo, chitarrista rivelazione internazionale con la vittoria, a Londra, dello Steve Vai Award 2009. 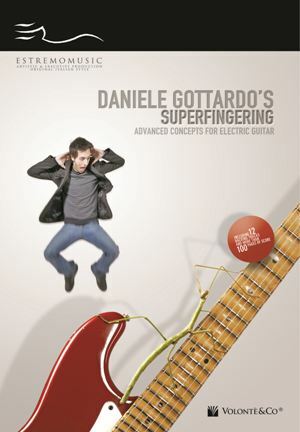 The revolutionary new way to play guitar by Daniele Gottardo, international winner of the 2009 Steve Vai Award in London. The DVD covers the most typical problems which meet every guitarist in his formative years. Suitable both for beginners who want to really get to know their instrument and professionals wishing to broaden their horizons in search of new ideas. 2 hours of content, 100 classes in order of difficulty, more than 100 pages of transcripts, application examples, backing tracks for each theme and genre. 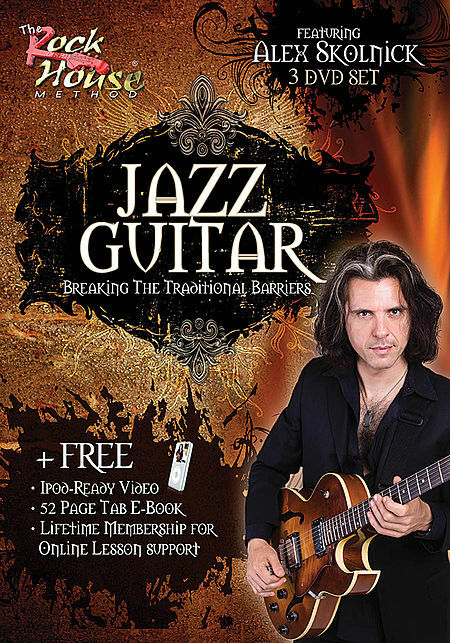 Alex Skolnick is world-renowned for creating an unprecedented blend of metal and traditional jazz. On his first-ever instructional program, Alex shares his perspectives and secrets for conquering jazz guitar. Using basic blues progressions, he guides you through jazz concepts and demonstrates how to follow progressions by targeting chord tones, triads, embellishments, modes and jazz patterns. Learn to apply techniques like upper chord extensions, chromaticism, jazz licks, and to add Bossa Nova, swing, 6/8 time and waltz rhythmic styles to your skill set. Alex reveals how he transforms rock songs like the Scorpions' “Still Loving You” into a jazz composition, as well as his approach to classic standards such as “Autumn Leaves.” Jazz, rock and metal guitaritsts will find that this program details jazz theory and concepts which will increase your music vocabulary, repertoire and overall fluency. Formatted for Zone 0 – playable on any DVD player. Well, it's finally here. I need to recharge my batteries and escape from the wonderful but daunting task of coming up with a new instructional guitar article every month. However, I'm dreaming up lots of ideas for the future, and in all likelihood I'll return before you know it with loads of fresh ideas. In the meantime, a lot of things are going on which require more attention than I can give while still maintaining the quality you expect in this column. I'd like to take this opportunity to describe what's going on, then leave you with some closing advice. Right now I have a bunch of things in the works. My latest project features guitar, saxophone, bass, drums and percussion, and it's a far cry from anything I've done before. It's raw, funky instrumental music, a lot of it inspired by '70s crime/suspense theme songs. Although it is energetic enough for rock fans, the grooves make it perfect for jazz improvisation, with a lot of interplay between the instruments. It's a great opportunity to put to work a lot of the ideas I've presented here over the years. Will it become a national act? Who knows, but at the very least, this project has been getting a very positive response by those who have seen it so far. Even if it's destined never to break out of the Bay Area here in California, it's so enjoyable that it's still worth it. Current plans are to record a high-quality demo and release it independently. Keep an eye out for Alex Skolnick & The Skoltones you'll see an update with information and a mail-order address in these pages soon enough. The other thing going on, which may or may not come as a shock, is that I've been attending college part time. Now, before you think I'm giving up on music, relax. In fact, going to college is probably the best thing I can do for myself for several reasons. Many of you may be relieved to know you can earn a decent living from teaching and doing guitar clinics, but there's still the harsh reality of the music business: Many musicians are forced to get regular jobs that force them to scale back their practice schedules or quit their instruments entirely. I'd hate to be in that position, but as my name recognition subsides and the music industry becomes increasingly hostile toward serious musicians, there are no guarantees I will be able to continue making a living at this level. Of course, I hope I can, but at this point I have to be realistic. An advantage of going back to school is that it opens up a lot of possibilities; it's tough to get hired without a degree, no matter who you are. I'm taking formal music studies, which is new for me since I learned guitar through self-teaching and private lessons. I'm also studying literature and creative writing. Creativity comes in many forms, and writing this column has instilled in me the desire to expand this knowledge. (l hope it's done the same for you.) I've got some great ideas for stories and insight on the music business, as well as instruction books. So in the meantime, whether I end up with a record deal for the new project, a degree, or both, it feels like I'm on the right track. For the first time I'm making the most of myself as an artist, and I'm much happier than I've ever been. I'd like to close with some parting advice for all of you. Here are three fundamental problems I have noticed in students, whether at clinics or in private lessons. If any of these apply to you, you might want to consider my suggestions. In many ways, the guitar is like the human voice. There are many references to making the guitar "sing," and it's a fitting analogy. And just as it is unpleasant to listen to a vocalist who is off key, the same is true of guitarists. One of the worst habits of guitarists is bending notes and chords out of tune unintentionally. Try holding a single note or a chord, and look at the strings. The space between them should be perfectly even, as ifyou weren't touching the guitar. When bending a note intentionally, you should always have a target note you're shooting for, matching the pitch of that note exactly. Practice by playing the target note first, and keep the pitch ingrained in your mind. It helps to play over a chord that is played by a friend or that you recorded on tape. It also helps to play along with an album, especially one with a good guitarist. Always make sure the guitar is in tune before practicing your bends. This one drives me nuts! Even many advanced players are guilty of it. Like pitch, vibrato applies to guitar in much the same manner as the human voice. The purpose of vibrato is to enhance a note that is held. In general, it is best not to vibrate a note as soon as it is struck, but to wait until it has had a chance to ring, even if for only a split second. If everything you play is laced with vibrato, it sounds ridiculous. For an exercise, play some licks with absolutely no vibrato, keeping all the notes in perfect pitch. If this is hard to do, you need to break the habit of excess vibrato. Vibrato can be an excellent way to enhance your notes, but you need to be in control of it. This point can't be emphasized enough. Many players spend countless hours practicing scales and licks, only to get stuck because they haven't developed their sense of timing. Metronomes, drum machines, and albums are all excellent sources of a pulse, and it helps to use them when you practice. Even if you can tap to a metronome perfectly, it is important to have an understanding of the possibilities that lie in between the basic 4/4 beats. It is a challenge to play eighth notes, 16th notes, triplets, quintuplets, and sextuplets with good timing. If you practice without a pulse, you may be playing incorrectly, and it is harder to gain control of your playing. Try analyzing the timing of the licks you learn, and make sure that you have them right before trying to use the licks in a song. Hopefully this advice will come in handy. I can't thank you enough for the support you've given me over the years. Your letters and kind words have been more than appreciated. Alex Skolnick is currently working with his band, Exhihit A, as well as with Savatage. In addition to gaining notoriety as the author of this DVD, Alex was afounding member and drivingforce behind Testament. Charlie Hunter, Bill Frisell, Scott Henderson, and Pat Martino. You probably won't be seeing these guys on M1V anytime soon. learn to appreciate more serious music. Meola (John McLaughlin, John Coltrane), John McLaughlin (Miles Davis, Charlie Parker), etc. The list goes on. nosedive in the '80s with the advent of "pop" fusion and "lite"
phrases doesn't mean you have to copy everything else about them. 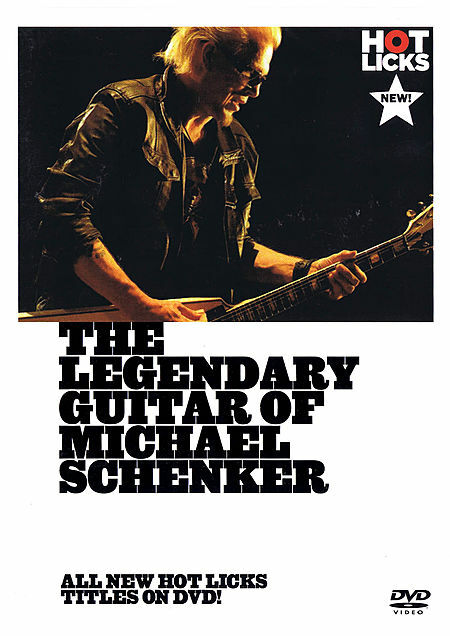 This exceptional instruction DVD showcases Michael playing six of his greatest hits, including “Doctor Doctor” and “Rock Bottom,” recorded live exclusively for Hot Licks. In this close-up look at the style and techniques of this truly legendary guitarist, master guitar instructor Dave Celentano breaks down and analyzes in detail the soloing techniques of this phenomenal guitar legend. In the bonus interview, Michael discusses his early influences and musical upbringing, his current gear, and the importance of creativity and individuality. Includes 48-page booklet in standard notation and tablature. The pack includes a 48-page booklet in standard notation and tablature.